Every year, nearly seven million people from all over the world enter the Oktoberfest fairgrounds called the Theresienwiese, or Wiesn for short, to partake in the festivities. They enjoy the Bavarian hospitality, drink the world renown beer, and eat traditional culinary delights in large tents constructed by six of Munich's biggest breweries. One of the most famous tents is hosted by Löwenbräu. Easily recognizable from across the Wiesn because of it's tall tower, the Löwenbräu Festzelt has been owned and operated by the Hagn family for more than 35 years. It holds more than 5,800 guests inside the tent, with seating for an additional 2,700 outside in the biergarten. 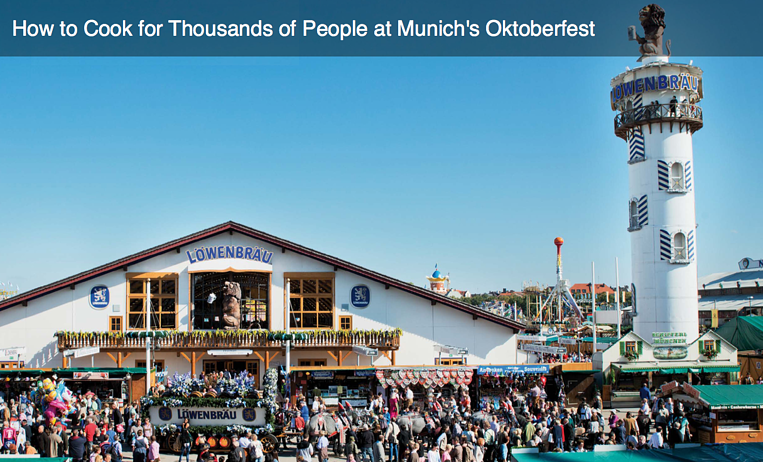 This means that on any given day of the two-plus week Oktoberfest, nearly 9,000 visitors will want service at roughly the same time creating both professional and logistical challenges for the the kitchen and 200-person service team. 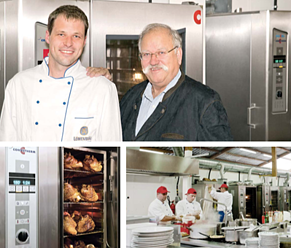 "We prepare all foods fresh here on the fairgrounds," says head chef Martin Wacker. "Every appliance in my kitchen must be multifunctional. That's why I decided on combi steamers from Convotherm." Using overnight cooking with core temperature measurement and the Crisp&Tasty function in five different Combotherm ovens, Wacker gently prepares German specialties like suckling pig and sauerbraten with higher yields and even higher quality. Learn more about Convotherm. Get an up-close-and-personal look by watching the Designed Around You video, and discover the benefits available to you.